When it comes to wicker, you may think of more traditional design, but it can be done with a contemporary spin as well! Here are my tips for styling wicker with fresh, contemporary style. 1. So we’ve all seen wicker seating, but when you use wicker in unexpected ways, it really brings a freshness to this age-old material. 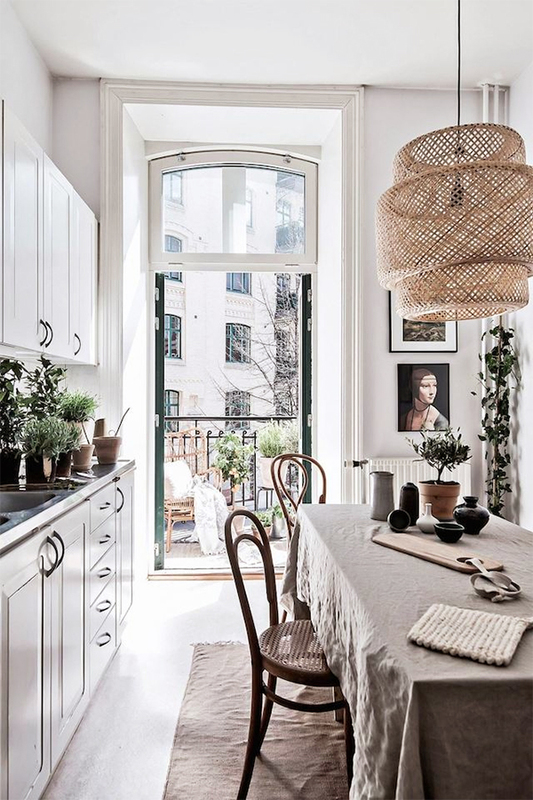 Try a wicker chandelier to mix things up! 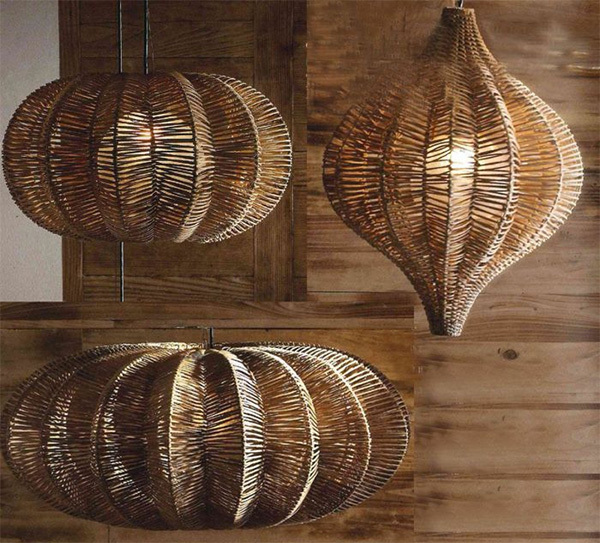 Here’s an awesome DIY tutorial for creating your own, stylish wicker chandelier shade. I love this particular wicker chandelier (shown below). It’s so unique! You can purchase it here. Image via Greige Design, for purchase here. 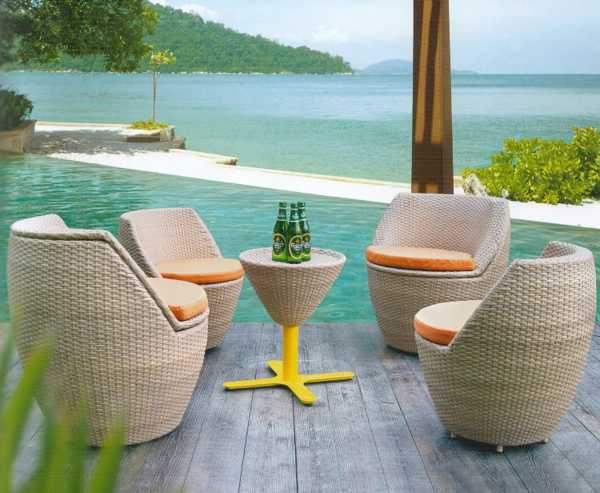 If you like these awesome wicker chairs shown above, you can buy them here! 3. Create an eclectic accent wall featuring decorative baskets or special wicker accents like in this global-meets-contemporary home shown below. Find your own unique wicker baskets to display here. 5. 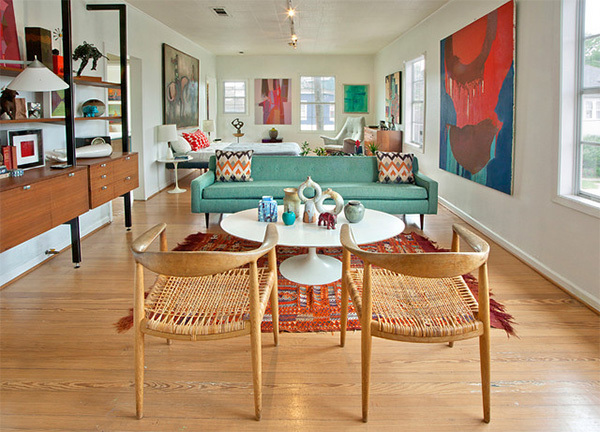 Don’t forget to consider antique & vintage wicker options for your home (like shown in the living room below). I actually found a stunning wrought iron dining set that included chairs with wicker backs and a wicker table base with a glass top, all from Salvation Army! I re-painted the wrought iron in high-gloss black paint and re-upholstered the seats. It was the perfect combination in my contemporary apartment and I received compliments all the time! Sadly, I can’t locate a photo now, but it may make an appearance in the future. Wicker is the best! You’ll be pleasantly surprised by the versatility of wicker. Try your hand at updating a space in your home with this dynamic material. Already enjoying wicker? 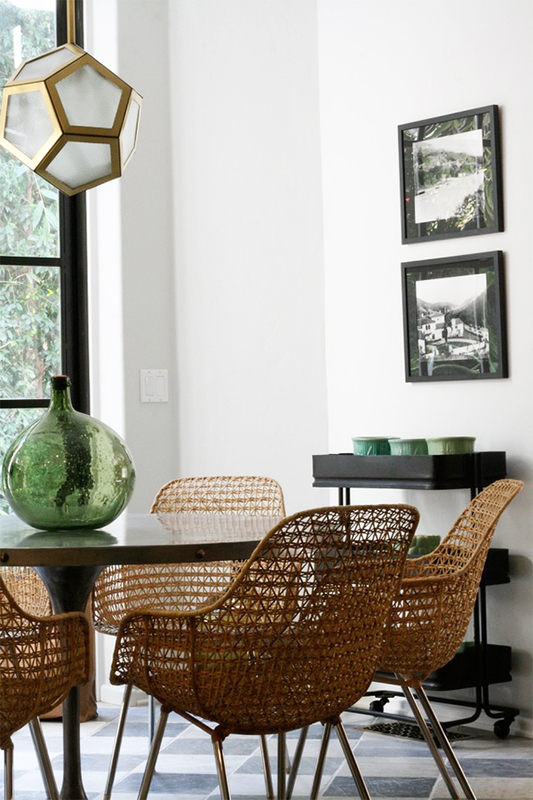 Tell us about your favorite wicker decor element at home!